91 View from the Cellar The Albariño “Esencia Diviña” from Adegas Gran Vinum is a very pretty wine that is aged three months on its fine lees prior to bottling. The 2016 offers up a bright and inviting bouquet of pear, lime blossoms, salty minerality, a nice touch of gentle leesiness and a topnote of white flowers. On the palate the wine is crisp, full-bodied and racy, with an excellent core of fruit, fine focus and grip and an impressively long, vibrant finish. This has real depth and backend energy! Fine juice. 2018-2025. 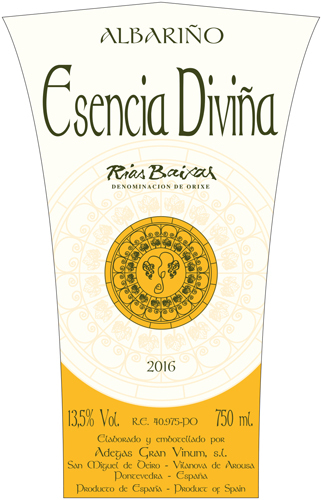 91 Wine & Spirits Magazine Clean and crystalline, precise in its expression of Albariño grown in the granite soils of Rias Baixas, this is filled with tart lime and orange flavors. It’s light, energetic, and firm, balanced by a soft touch of sweet pear in the finish. A great choice for mussels and fries. 90 The Wine Enthusiast Minerally aromas are balanced by light, elegant fruit scents akin to applesauce and pear. This feels refined on a palate that's only slightly pulpy. A fruit-bowl's worth of stylish citrus and apple flavors are lasting on the finish. Drink now. 89 Wine Spectator This white is both firm and rich, with mango and guava flavors supported by lime and quinine notes. Bright, tangy acidity leaves a clean finish. Drink now through 2022. 5,000 cases made. 92 Vinous Media Light, bright gold. Fresh and incisive on the nose, displaying intense orchard and pit fruit scents and a tangy suggestion of lemon zest. Chewy and taut in the mouth, offering bitter lemon and pear skin flavors and a bracing mineral flourish. Finishes long and precise, with recurring citrus fruit character and lingering mineral and floral notes. 91 The Wine Enthusiast Orange and blanched almond aromas are light and lucid on the nose. This is citrusy and ripe on the palate but not heavy. Citrus and melon flavors are a touch leesy, while this is steady and well-balanced fresh, rounded finish. 91 View from the Cellar The 2017 Albariño “Essencia Diviña” from Adegas Gran Vinum is happily sealed under natural cork and is a step up in terms of precision and roundness. The bouquet is bright and classy, wafting from the glass in a blend of tart orange, lime blossoms, ocean breeze, lovely minerality, dried flowers and a hint of gentle leesiness. On the palate the wine is vibrant, fullish and beautifully detailed, with a good core of fruit, zesty acids and lovely focus and grip on the long, complex and gently briny finish. 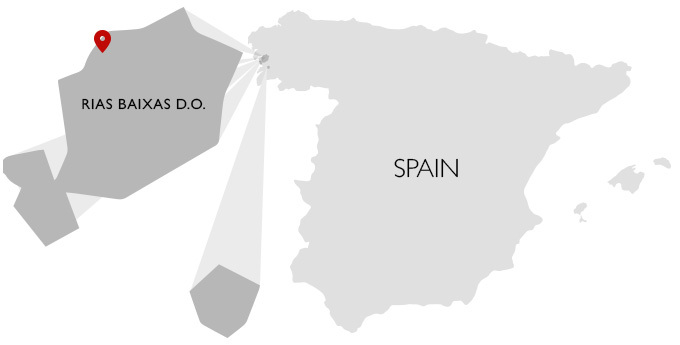 This is first class Albariño! 2019-2030+.